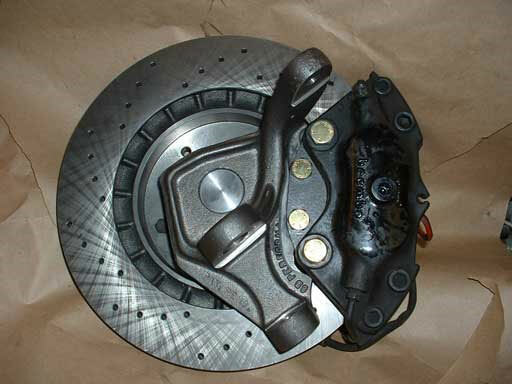 This kit adapts 86 or 87-89 944T brake components to the CB dropped disk BJ spindle. The hubs are modified to take T1 bearings and stock beetle grease seals. The spindles require a significant amount of machining to mount the caliper. The spindle will no longer be able to take stock T1 components. Offset increase of the brakes is 13mm per side. The kit included machining of YOUR of your hubs to take beetle bearings, fabrication of two caliper brackets, machining of YOUR spindles to accept the caliper bracket, installed German bearings and all required fasteners.